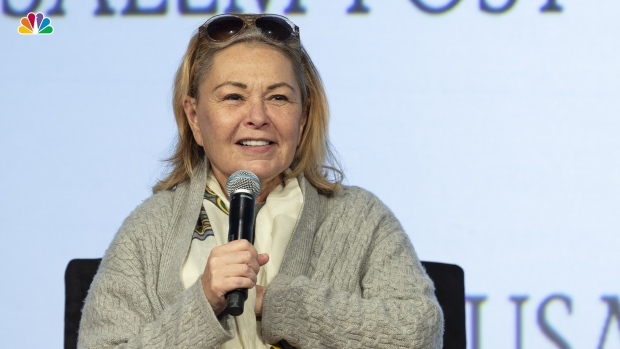 In this Monday, Jan. 8, 2018, file photo, Roseanne Barr participates in the "Roseanne" panel during the Disney/ABC Television Critics Association Winter Press Tour in Pasadena, Calif. Barr will appear on television for the first time since she was fired from ABC and her namesake show was canceled. Barr will be a guest on the Fox News show “Hannity” on Thursday, July 26, 2018, at 9 p.m. EDT. During the live interview Thursday, she's expected to discuss the tweet as well as President Donald Trump. 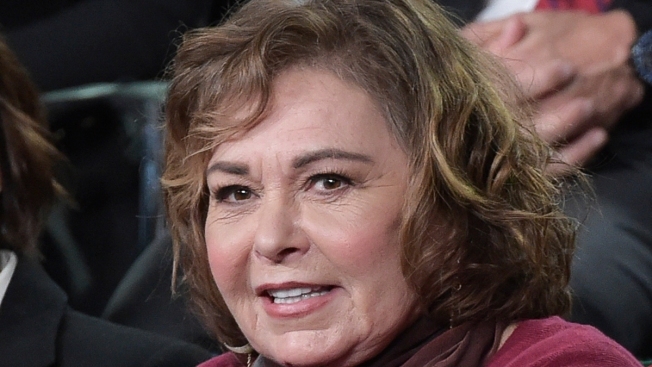 ABC said it ordered 10 episodes of a spinoff called "The Conners" after Barr relinquished any creative or financial participation in it.